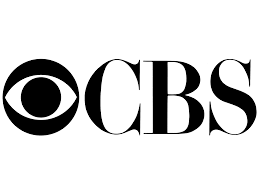 This is not good news for a number of CBS employees. A longtime manager the CBS Employees Federal Credit Union has been arrested and charged with embezzling more than $40 million from his employer over the past 20 years and the National Credit Union Administration — a federal agency that regulates credit unions — announced Friday that it has liquidated the CBS Employees Federal Credit Union and shut down its operations. Edward Rostohar faces felony counts of bank fraud and aggravated identity theft. Rostohar was arrested two weeks ago and remains in custody because he is considered a flight risk and an economic threat to the community, according to Nic Hanna, U.S. Attorney for the Central District of California, who announced the charges today. If convicted on both counts. Rostohar faces a maximum of 32 years in federal prison and a $1 million fine. Wait, you steal $40 million and you face a $1 million dollar fine?